Tim Burton, Johnny Depp and Helena Bonham Carter. Actress Icontest, Theme: Friends. 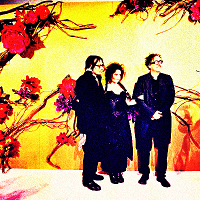 Images in the Tim burton club tagged: photo tim burton johnny depp helena bonham carter. This Tim burton icon contains anime, komik, manga, kartun, and buku komik.